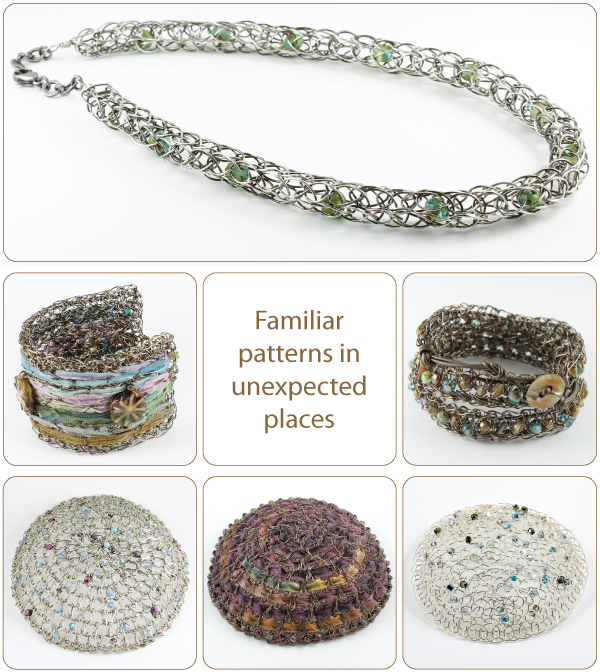 Handcrafted wire jewelry and women’s kippot feature the intricate patterns of knit and crochet. Distinctive ribbons, yarns and glass bead accents add to the visually rich texture of each unique piece. A feminine, modern and defining style for women of all ages. Copyright@2017 Studiojere. All Rights Reserved.